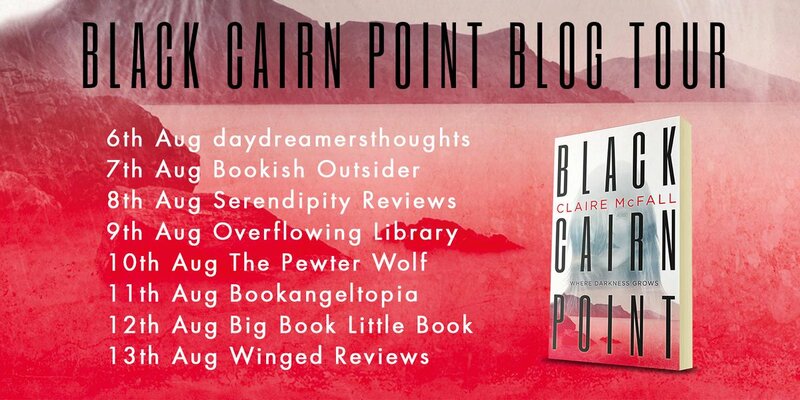 Earlier this week, my review of BLACK CAIRN POINT was posted – it’s definitely one of the best books I’ve read this year, and one of the best thrillers I’ve read full stop. I was asked to join the blog tour for the book, but with my messages messing up and coming in delayed, I was wayyyy too late! However, Claire kindly offered to write a guest post for this blog for this week and I’m really excited about helping share her process of selling the book. If you’d like to check out the blog tour posts, check the banner below! So there I was, proudly grinning down at my laptop screen. Finished. I had written a novel. Go me! Now, what to do with it? Leave it languishing on my laptop and tell no one. Try to get it published. I’d spent way too much effort on the thing just to feel a sense of internal pride and know that I’d done it. But, in all honesty, the idea of trying to get it published was frankly terrifying. Firstly, because I’d no idea how to go about getting published, and secondly… what if people said it was crap? So I hummed and hawed and procrastinated, and then suddenly decided I was being a big fat wuss and started investigating. The first thing I did was a bit of market research to answer that key question: was my labour of love, in fact, a pile of steaming poop? I was too chicken to send it out blind, so I got a couple of pals to read it. The response? Oh, it’s really good! (With a hint too much surprise for my liking!) Now, that’s all well and good, but these were my pals. They had to say nice things. The trick is to find someone you can trust to tell you the truth. However heart-wrenching it may be. What’s a girl to do? I sent it to my mum. When she said it was okay (note: ‘okay’, not the ‘incredible’, ‘brilliant’ and ‘awesome’ I’d had from my mates) then I figured it was good enough to take the next terrifying step: send it to strangers. I did a bit of digging (good old Google!) and found that while I could self-publish, getting any interest in an unknown novel by an unknown novelist was nigh on impossible. Yes, there are people who manage this, but it sure ain’t the norm. Another possible route was to send my novel off to smaller, independent publishers (the big ones don’t accept “unsolicited manuscripts” for the most part), but I was scared off by talk of enormous slush piles and miniscule odds. No, the route forward seemed to be to try and get an agent. But, numerous websites warned me, most agents already have full books and will only take something on if they’re sure they can sell it, so expect a lot of rejections. Form rejection – a big fat no so emphatic they didn’t even bother to write it personally, just copied and pasted it in. Personal rejection – again, still no, but they at least took the time to say why it wasn’t for them, which is a start! A request for more – ooh! They like it! They want to read the whole thing! Offer of representation – OH MY GOD THEY WANT ME! Wisdom has it that if all you get in your first round of ten are form rejections, your novel, that you have slaved over and loved and, possibly, wept over, isn’t as good as you thought it was, no matter what your mum says. Or, you might just have gotten unlucky. When I sent out my first feelers for Ferryman, my first novel, I got two requests for more. Yay me! Cue much excitement. Alas, after reading the finished manuscript, both agents decided it wasn’t for them. What I possibly should have done at this point is go back to the novel and try and improve it – they were kind enough to give me feedback after all – or try again with another ten agents. Nah, I decided, to hell with it. I’ll just write another book and see how that goes. Hmmm. Possibly not the smartest way forward. In fact, I wrote EIGHT books before I landed an agent. That’s right, eight. Approximately 600,000 words. It would have been much easier to just work on Ferryman and make it better… but it’s too late now! Who cared, though? I had an agent! They would help me make my novel(s) sparkle, and then sell it for loads and loads of money! It turned out, the “agent” was also the “publisher” – hiding under a different name. I don’t know if she started off with good intentions and got into trouble because she didn’t know what she was doing, or if she was just a big, evil scammer… but beware! There are websites like Firstwriter where you can see reviews of agents and check that they have actually a) made sales and b) paid money to authors. Luckily, at this juncture, I landed a real agent, from a real agency, so all was well. What happened next? Well, said agent had lots of shmoozy boozy lunches and wooed some publishers…. And voila! A book deal! No, a three book deal (of which Black Cairn Point – PLUG ALERT! PLUG ALERT! – is book number three)! And so now, here I sit. I have three books with my name on them. I even have a book with (I’m assured) my name on it in Chinese!!! I am, officially, an author. As we say in Scotland, ya dancer! 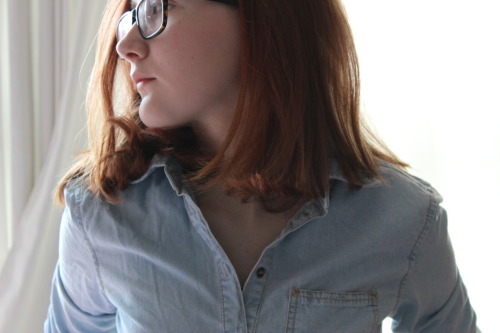 Thanks for the awesome guest post, Claire! 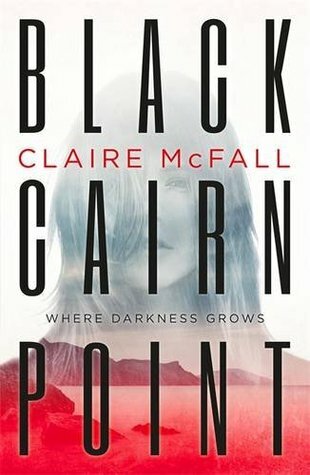 BLACK CAIRN POINT is out now in bookstores, published by Hot Key Books. If you read one book this year, make it this one! This entry was posted in Uncategorized on August 21, 2015 by keithbwalters.